I get to help nonprofits be more organized and efficient so they are better equipped to affect change in their communities. 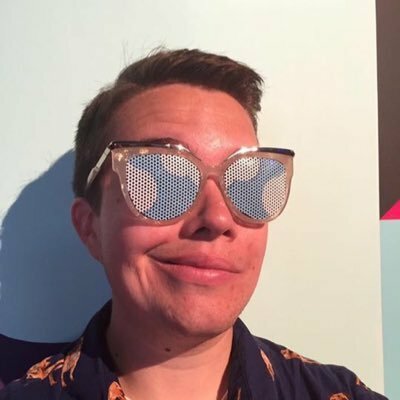 After finishing my master’s degree in Performance Studies at NYU, I began working at a small nonprofit designing and implementing arts education programs for NYC public schools. Incidentally, I was also the only person in the office who knew how to fix the printer, so I found myself becoming the de facto office IT person. Gradually, I was not only fixing the printer and helping people connect to the internet, but also digging into and improving our homemade SQL database which was unfortunately not Salesforce. After recognizing that I enjoyed the database and IT portion of my job more than curriculum design, I began to search for a more technical role in the nonprofit sector. That’s when I applied for my first role as an IT manager and Salesforce admin. How do you use your skills to give back? I’m now a Solutions Architect at Cloud for Good. I work with nonprofit organizations to ensure they are getting the most out of their CRM investment. I collect their organization-wide requirements, look at what integrations they need, consider their big goals for the next 3-5 years, and help strategize a system that’s going to get them closer to reaching those goals. I get to help nonprofits be more organized and efficient so they are better equipped to affect change in their communities. 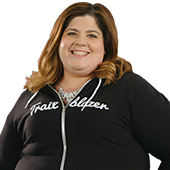 It’s so important for anyone with Salesforce skills to give back and work with organizations in their communities. 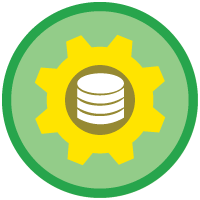 What one thing did Trailhead help demystify for you? Before Trailhead I didn’t really know how to write Apex code. I could maybe make a small change in existing code. After going through some of the developer modules, I had a lot more confidence in creating my own Apex classes and controllers, building Visualforce pages, writing test code, and making sure the unit testing was solid. Now I’m able to look at a requirement and understand when it's best to use code instead of clicks to create a more efficient and elegant solution. 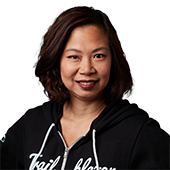 I definitely credit Trailhead for teaching me how to code on Salesforce. Mostly I work on Trailhead in my evenings. It’s a great way to stimulate myself and keep learning and growing. Part of what I love about Salesforce is that you always need to keep learning in order to keep up with the new tools and functionalities. 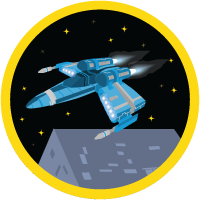 What are your favorite Trailhead modules? Of course I love the Apex modules, but my other favorite is the Impact of Unconscious Bias module. 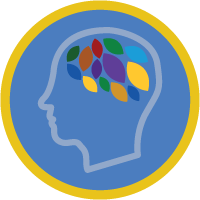 I think it’s fantastic that Trailhead has badges not only for administrative and technical skills, but also for diversity, inclusion, and management skills that make workplaces better for everyone. 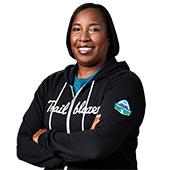 Being a Trailblazer means blazing a path forward in a way that opens up the possibility for more people to come along after you. I’m most inspired by all of the nonprofits I get to work with through Cloud for Good and their important missions like ending poverty, improving education for children, and creating gender equality. As inspiring as it is, if I were to work full-time at nonprofit on these missions I would most likely suffer burn out. That's why I feel so fortunate to be in a role where I can support many great causes by helping implement the tools necessary to do such valuable work. 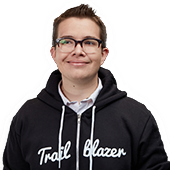 Being a Trailblazer means clearing a path forward and guiding other people along as well. It’s not about just going out on your own; it’s blazing a path forward in a way that opens up the possibility for more people to come along after you. Have fun and dive in. The trails guide you really well through what you need to know and in the right order. Don’t be afraid of going on a trail that looks challenging. Feeling challenged means you’re actually learning. At the same time, if you find something is far too challenging, it’s ok to pause on a module, change gears, and come back to it later. What’s too hard today, might be right at your level in a few weeks or months and that’s fine. “Try your hardest and do your best.” I deeply believe that everyone is doing the best with what they have.